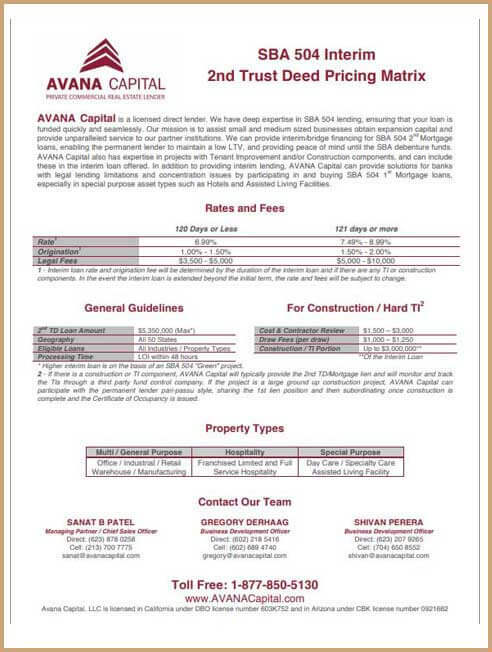 AVANA enjoys the company of some of most prestigious brokers in the commercial real estate mortgage lending sector. We welcome inquiries from all brokers–from those who are seasoned to those who are transitioning from residential lending to commercial lending. Brokers are protected and compensated on a mutual agreement with the client on each transaction. Ownership Experience Two years minimum ownership experience demonstrating successful (profitable) operation of same business. Contingency 10% contingency and interest reserve must be accounted for in the project cost. 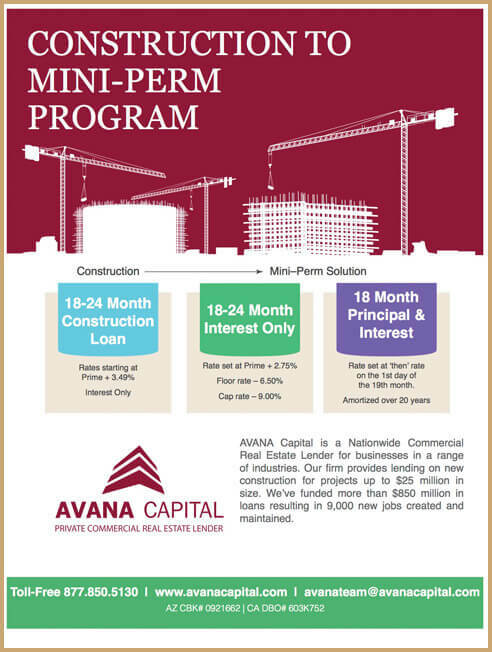 Post-Closing Liquidity 5-10% of total loan amount (1st+ 2nd mortgage amount), available upon completion of construction. Third Party Cost Review Borrower must agree to third-party cost review, contractor evaluation report, and third-party fund monitoring during construction. All related costs may be included in project cost. Performance Bond Borrower may be asked to provide performance bond from their contractor. Subject to third-party review of contractor. 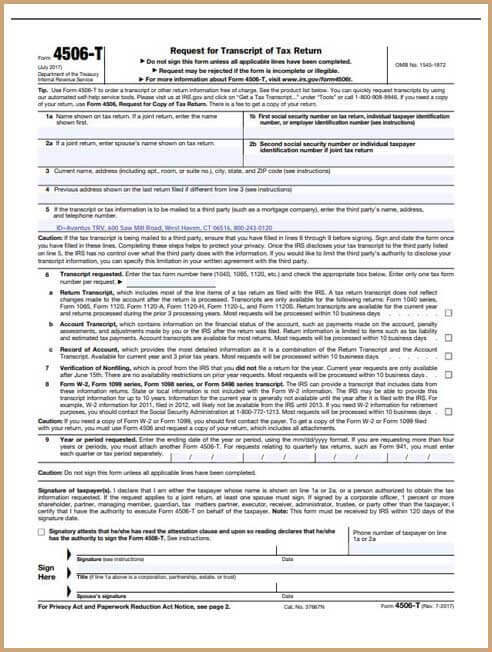 SBA Eligibility The borrower must be eligible under the SBA 504 or SBA 504 Green Loan initiative programs. Cash Collateral(May Be Required) Additional cash collateral equivalent to 5% to 10% of the total project cost may be required during the construction phase if the Borrower and Guarantors do not meet the Global Debt Service Coverage Ratio requirements (0.50x-1.00x from surplus cashflow). 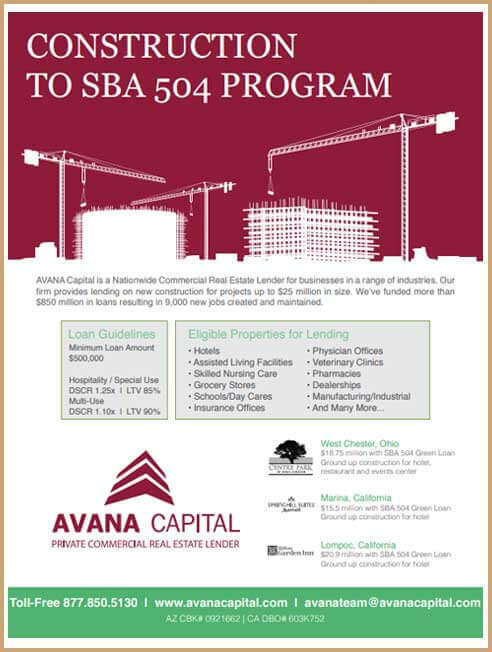 Cash Collateral will generally be released upon completion of construction and issuance of the SBA 504 debenture. Additional Hospitality Requirements Midscale or upper midscale limited-service or select-service franchises only. Property must be located in an economically diverse community with a population >50,000. Maximum Advance Rate 75% of cost or 70% of stabilized value. 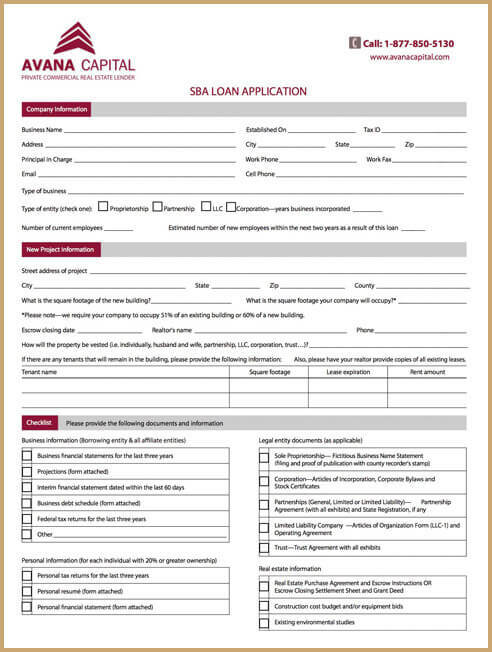 For SBA eligible projects, up to 80% of eligible project costs. Ownership Experience Minimum 3 years of comparable ownership and management experience demonstrating successful (profitable) operations. 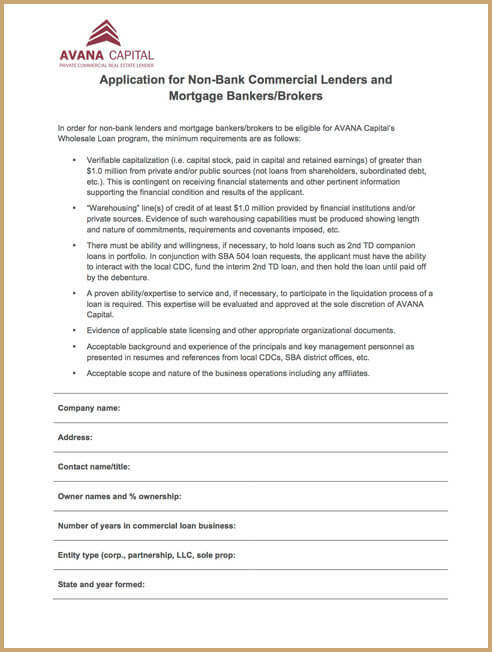 The following documents are required to prescreen the transaction and issue a discussion term sheet within 3 business days. Business/Property All federal copies of income tax returns for subject business over the past three years, including affiliate entities in which principals hold 20% or more ownership. For affiliate entities in which principals hold less than 20%, K1 statements are needed for the previous three years. 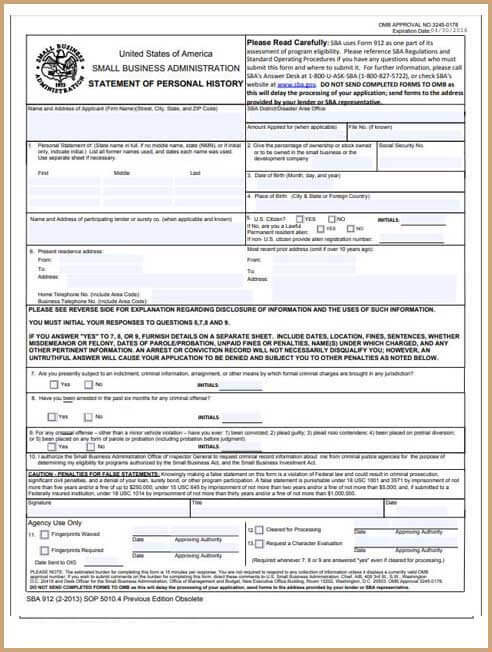 Personal All federal copies of tax returns over the past three years for all parties with 20% or more ownership interest in subject business. Financial Statement Current year to date financial statement for all entities and personal financial statement of all guarantors. 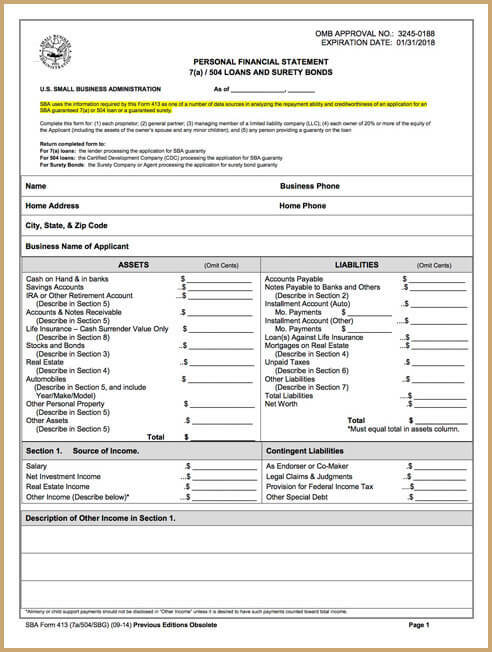 Personal financial statement form available here. 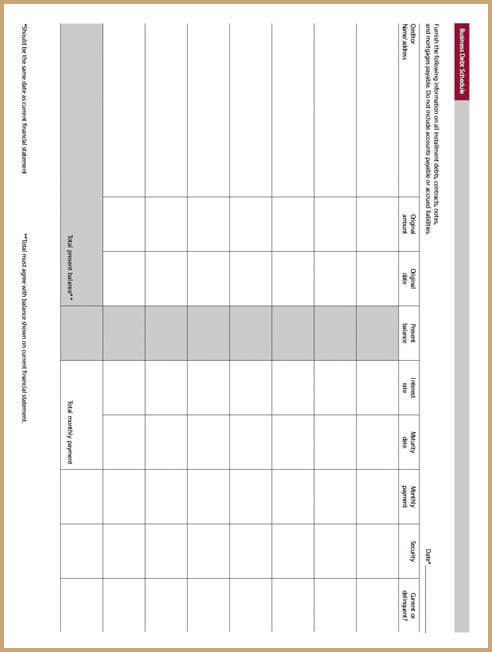 Debt Schedule Schedule of all debts for subject business. Template available here. 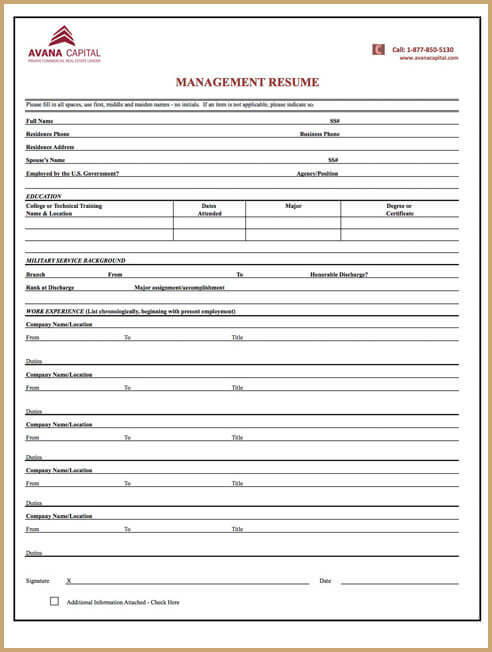 Resumes Management resumes of all principals, Guarantors, and GM. Template available here. *As quoted by CDC Small Business Finance.